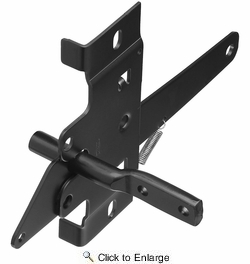 National N199-158 Post Mount Gate Latch - Black (V28). 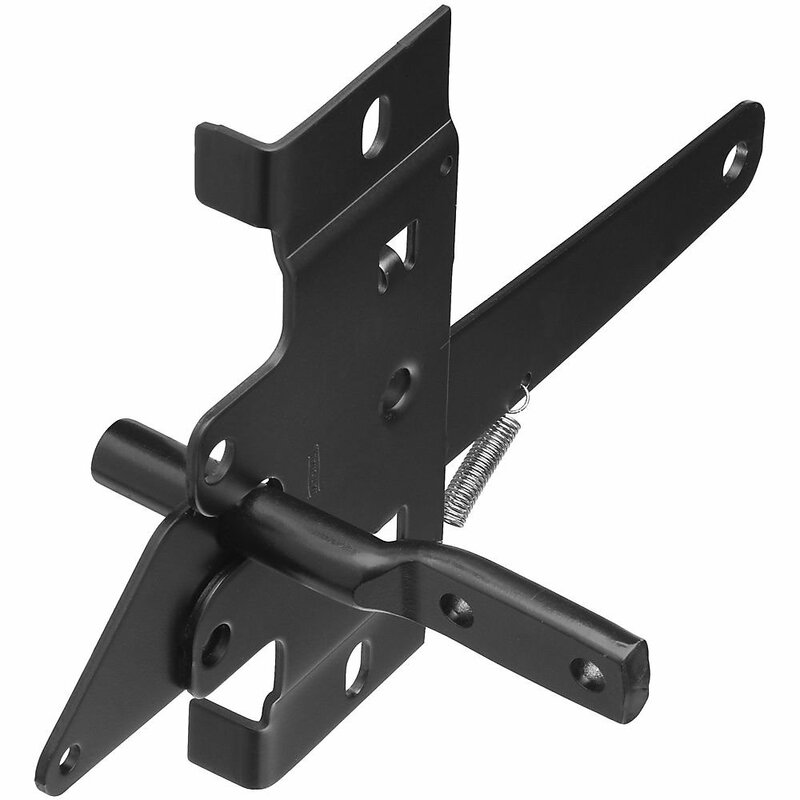 A heavy duty latch designed for mounting on inside fence post between gate and jamb. Offers anti-sag and self-latching design. Designed for right or left handed applications. Easy installation. Can be padlocked for added security. Hex lags included for mounting. Manufactured from hot-rolled steel.